What's New for the 2018 Volvo V60? 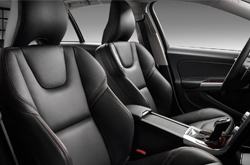 The 2018 Volvo V60 comes with a few minor updates such as a heated steering wheel, a power-adjustable passenger seat, and heated front seats. 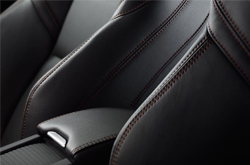 The manufacturer has also replaced the base T5 trim with the T5 Dynamic at the bottom level. Each version of the Volvo V60 has an unique appearance. The R-Design features racier body kits and upsized wheels, while the Dynamic features stylish chrome accents. Topping the lineup is the Polestar, noted for its electric Cyan Racing Blue color option. It has unique styling elements and magnificent alloy wheels wrapped with a thin overlay of rubber. 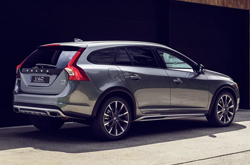 The V60 Cross-Country has a few extra inches of ground clearance, silver faux skid plates, unpainted fender flares and is suitable for your daily commute and daily adventures. Inside, all V60 versions have the same kind of dashboard characterized by a "floating" center stack with many buttons grouped. 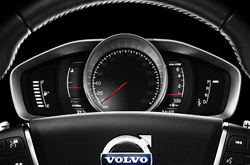 The standard 2018 V60 Volvo comes with a leather-wrapped steering wheel, HID headlights fitted with LED daytime running lights, eight-way power adjustable driver's seat, glass moonroof, illuminated gear shift knob, interior aluminum trim, 18-inch diamond-cut wheels, Sensus Connect and an R-design grille. For added luxury, you can opt for the Sports package that features power steering personalization, 19-inch black alloy wheels, paddle shifters, and a sport-tuned chassis, or the Navigation/Audio package that has a Harman Kardon premium audio system and Sensus Navigation.The V60 Polestar comes fitted with Polestar interior and exterior trim and badging, six-piston Brembo brakes, 20-inch Polestar special wheels with high-performance summer tires, Ohlins shock absorbers, a carbon fiber front splitter and carbon fiber rear mirror covers. In recent years, Volvo has switched to an all-four-cylinder engine and the V60 packs a 2.0-liter four-cylinder engine in four categories: the 240-horsepower turbocharged T5, the supercharged and turbocharged 302-horsepower T6 with 295 lb-ft of torque and the 362-horsepower supercharged and turbocharged T6 Polestar with 347 lb-ft of torque. 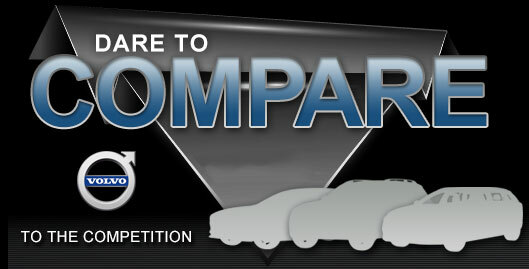 The R-Design only comes with the T6 engine, while both the Cross Country and Dynamic models come with the T5 engine. The Polestar, R-Design, and the Cross Country models come standard with all-wheel-drive, while the Dynamic model requires an upgrade to get this feature. The V60 Polestar is indeed a powerhouse altogether, offering you acceleration that is only comparable to high-performance cars such as the BMW M3. When it was tested, the V60 Polestar hit 60 mph within 4.8 seconds and it stopped from 60 mph at 105 feet. Safety features included in the Technology package are lane-keep assist, Distance Alert, road sign information, Driver Alert Control (for alerting a sleepy driver), active high beams, and adaptive cruise control. The vision package includes a rear view camera fitted with rear parking sensors, rear cross-traffic alert, and Blind Spot information, while active bending lights are a standard feature of the V60. The 2018 Volvo V60 has unique performance and safety features that will interest every car owner and if you wish to take it for a test drive, visit Volvo Cars of Phoenix.